West Broadway Neighborhood Association advocated for nearly a decade to return the historic four room schoolhouse on Almy and Meader Streets to active use. While not all preservation stories end happily, this one does. WBNA is proud of the role it played as well as the collaborations and partnerships that formed to save this piece of west side history. Depaving begins! Large lot = lots of asphalt. Machine at rest after a long bout of depaving. Raised beds built and new organic soil brought in for orchards. Peach and apple orchard on the north side of property. Plum and more apple trees planted on the south side of lot. Sprinklers helping new grass and fruit trees to root. One of four original classrooms in the school. 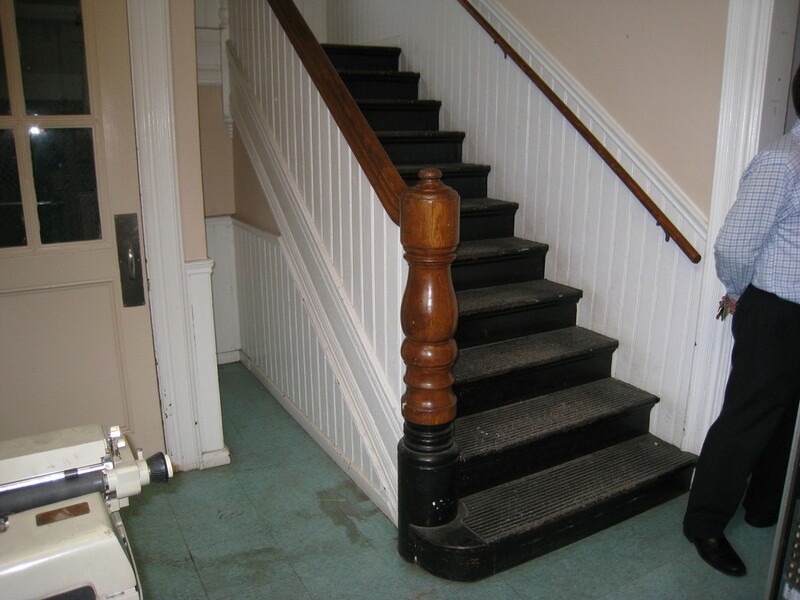 Original staircase and beadboard wainscoting. Sitting on a large plot of land in the middle of a dense, west side residential neighborhood is one of Providence's last remaining wooden four room schoolhouses. The school – historically called Meader Street School – educated 200 children, 50 in each room, and was built in 1892 to accommodate an immigration wave in Providence so great that the City erected 30 new public school buildings in that decade alone to serve its expanded population. As streetcar lines were built along main routes to the west of downtown, the west side of Providence also experienced immense growth, which contributed to the rapid building of Victorian housing stock for which this part of the City is well known. The Almy (or rather Meader) Street School shares in this rich architectural heritage of the west side and its neighboring houses. Fast forward seven or eight decades. As city populations declined in the late 1950s and 60s, so did public school populations. In the 1970s and 80s many schools were decommissioned and shuttered, some never to be repurposed. The City had stipulated in 1896 that all school buildings be built of brick: of these quite a few are still standing. But of their wooden predecessors, only four schoolhouses remain today, and Meader Street School is one of them. The school at Almy and Meader Streets was decommissioned by the City in the 1970s, but was fortunate to become RI's Head Start Administration Offices soon after. The building's fate changed for the worse, however, when Head Start moved out in 2000 leaving the schoolhouse permanently vacant. The property progressively deteriorated, and became a growing concern for neighbors, preservationists, and community organizations such as the WBNA. 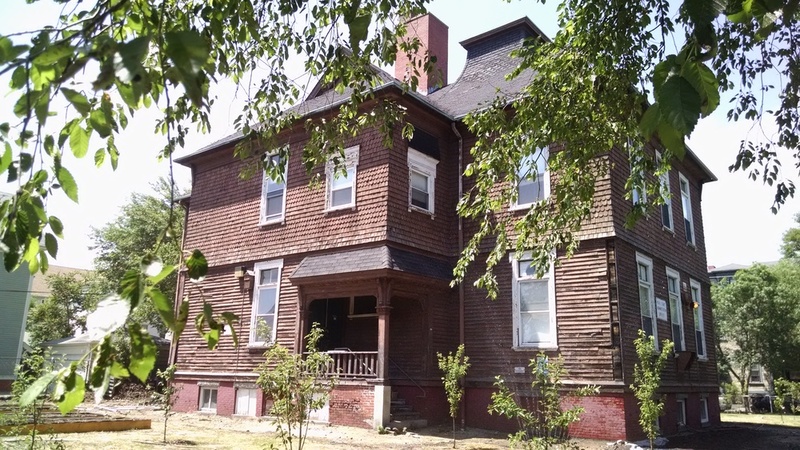 The Meader Street School was placed on Providence Preservation Society's Most Endangered Properties List in 2016. The turn of events that led to the building being saved in the same year it was placed on this list is remarkable, and would not have happened without a number of partners and collaborators working together in the many years that came before. In the decade or so that followed Head Start's vacating the school, it became clear that the City of Providence did not have an immediate plan to put this building to use. Fears of "demolition by neglect" began to take hold in the minds of many community members, especially those who believe this piece of Providence and west side heritage is worth saving. 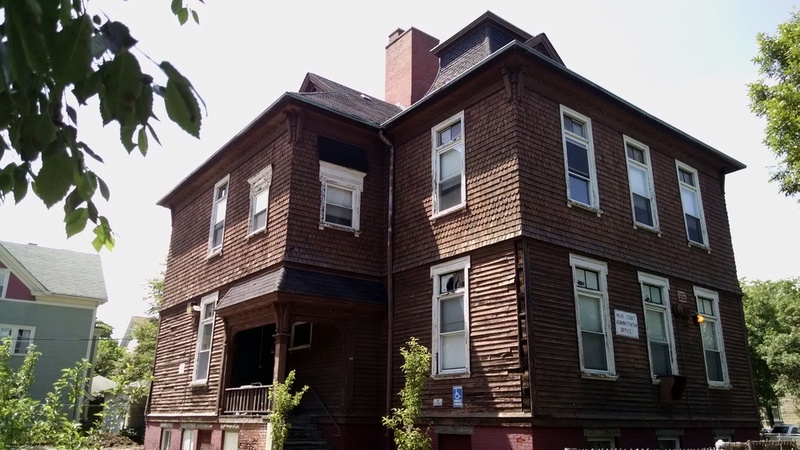 WBNA Executive Director Kari Lang turned to community partner Clark Schoettle of Providence Revolving Fund (PRF) – a mission-aligned nonprofit that has been integral to preserving west side properties for over 35 years – to find a way to save this building. WBNA and PRF had worked together for over a decade on multiple development projects in the neighborhood, starting with the 1996 renovation of the historic Texaco station which is now WBNA's headquarters. 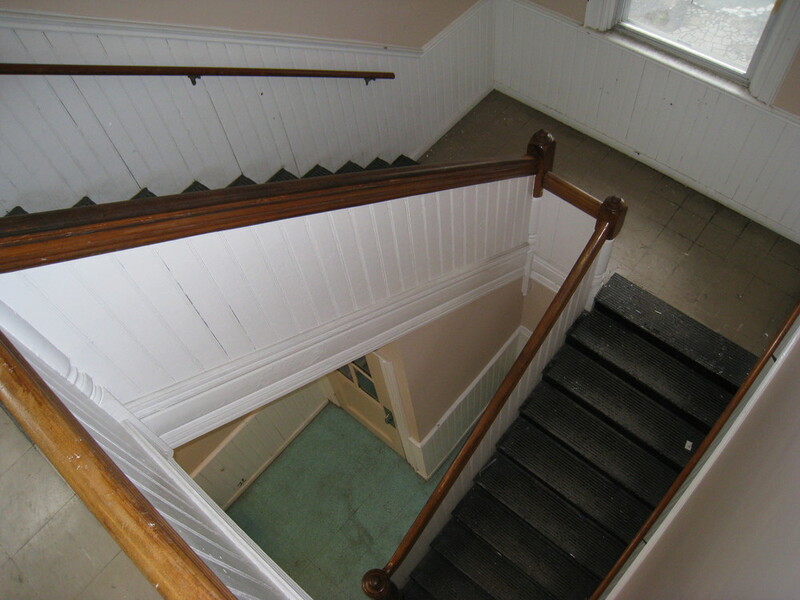 PRF worked again with WBNA in 1998 to restore 1390 Westminster (home of Community MusicWorks), and then in 2002 to renovate 1192 Westminster – a property that WBNA still owns – which houses the nonprofit Childhood Lead Action Project as well as provides affordable housing to qualifying families. With WBNA as catalyst and Providence Revolving Fund as development partner, WBNA began meeting with elected officials, community groups, neighbors, other nonprofits and city officials to find a way to save the building and put it to good use once again. Many ideas emerged during these years, such as using the building as a small business incubator, community center or even a school once again. In 2009 WBNA and PRF met with Federal Hill House to explore a plan for using the school as its annex, but the City did not seem ready to sell the property at that time, and the proposal fell to the wayside. 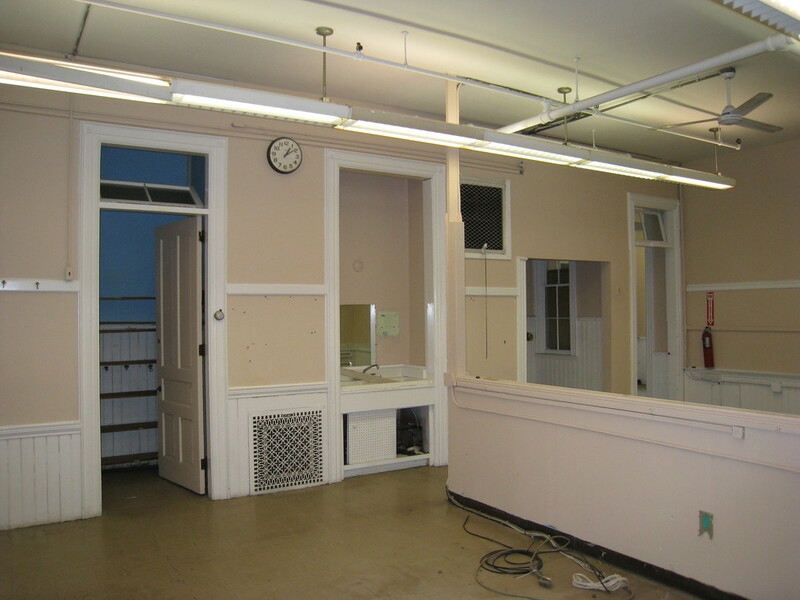 In 2011 WBNA and PRF met again with city property officials – this time with Councilman Bryan Principe, as well – to inquire about purchasing the deteriorating building. Councilman Principe advocated for the City to put Meader Street School up for bid which it did in 2012. Although WBNA submitted the only offer of purchase, it was not accepted. After the bidding process closed, nothing more was heard about a possible sale of the property. That same year the City leased the paved exterior of the building to Southside Community Land Trust where urban farmers grew crops in mounded organic soil beds atop the pavement. Front Step Farm, SCLT and the City of Providence also launched a pilot compost program in 2013 which was located on the school's lot (this program eventually became the WBNA's West Side Compost Program in partnership with The Compost Plant). All these initiatives were positive – they just weren't enough in the long term to save the building. In 2013 a new round of state historic tax credits became available for qualified applicants. To WBNA and PRF, tax credits seemed to offer the leverage needed to help secure and launch a possible renovation of Meader Street School. WBNA applied to the program, and was put on a very long waiting list. The likelihood of receiving the tax credits seemed implausible. Without any startup funds, purchasing and attracting an interested developer seemed impossible. Two years later, the state notified WBNA that the Almy/Meader Street School project had been selected to receive historic tax credits worth $250,000. Many of the originally selected projects that had applied in 2013 had fallen through, and WBNA was next on the list of qualifying properties. WBNA had 90 days to assemble all the parties, partnerships and agreements to make it happen, according to the protocol of the tax credit program. WBNA did not want to own the building, it simply wanted to start the process, to catalyze the preservation of the school. Councilman Principe helped facilitate a meeting with the Mayor's Office which agreed to transfer the building to the Providence Redevelopment Agency upon a favorable vote by City Council. PRF had successfully worked with PRA in the past to secure threatened historic properties, and it did so again with the Meader Street School. Within the short timeline required of the state's tax credit program, the Revolving Fund formed a new company called Elementary LLC with BJ Dupré of The Armory Revival Company, Elementary LLC purchased the school from PRA, tax credits were transferred from WBNA to Elementary LLC, and work began on the property in late April of 2016. Other supports were put in place, too. WBNA met with Councilman Bryan Principe who secured CDBG funds to support affordable housing units in the development of the school, and local architect and west sider Monika Kraemer – Monika actually lives on Almy Street – was brought on to help design the new layout of the school. The story of this building – seemingly impossibly ill-fated – turned around in a mere 90 days. In the capable hands of BJ Dupré, a local developer who has invested in west side historic properties for 30 years as a partner of The Armory Revival Company, 20 Almy Street will be transformed into 7 residential rental units, 4 of which are designated as affordable housing. Within a month of purchasing the property, Dupré had dug up a majority of the asphalt paving that surrounded the school, leaving a small swath for parking (photos above). He planted grass and an orchard that includes apple, peach and plum trees, and built raised garden beds that have been planted with beets and watermelons and that will be one of the included benefits for future tenants living at 20 Almy Street. Bee hives will soon be arriving on the property. Improvement is happening fast. The school's renovation is slated to be completed in the summer of 2017. Restoring the exterior of the building is the first stage of the project and should be finished before the end of 2016. This work includes a new roof and substantial repairs to the wood detailing on the building which has suffered significant rot. Dupré also plans to reinstall four beautiful triangular shaped windows that had been removed from the four gables of the building decades ago. He found the originals – a treasure of architectural salvage and perhaps a sign of more good things to come – piled in a dark and dusty corner of the building's lofty attic. Many thanks to Providence Revolving Fund for providing historical research on the Meader Street School.